On the cover: Agave utahensis is a favorite species among collectors of Agave and among succulentists in general. Duke Benadom has been studying the morphological diversity of this taxon for many years, and has grown thousands of this species from seed. The cover photo on this issue is of one of the more unusual displays of marginal-spine variation. 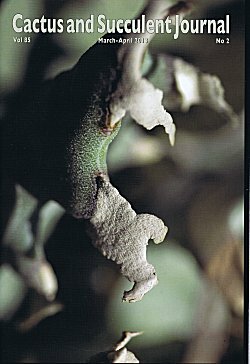 See his article "Superb Succulents" in this issue for more images of extreme diversity.